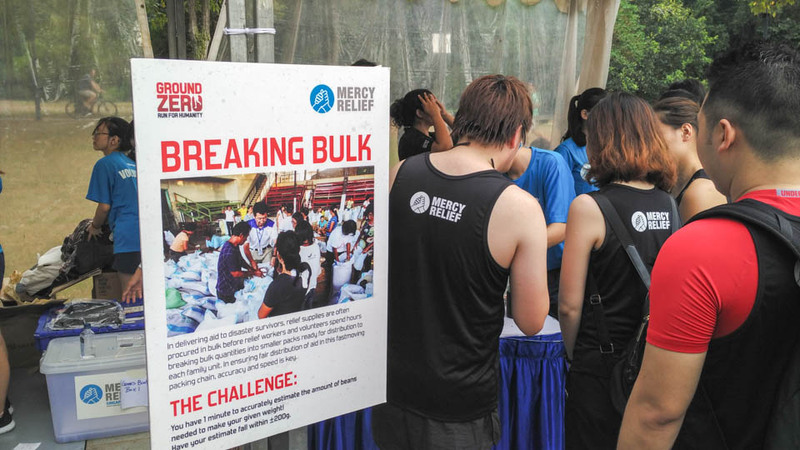 On Sunday, 13 August 2017, Mercy Relief’s Ground Zero Run for Humanity was held in observance of World Humanitarian Day. 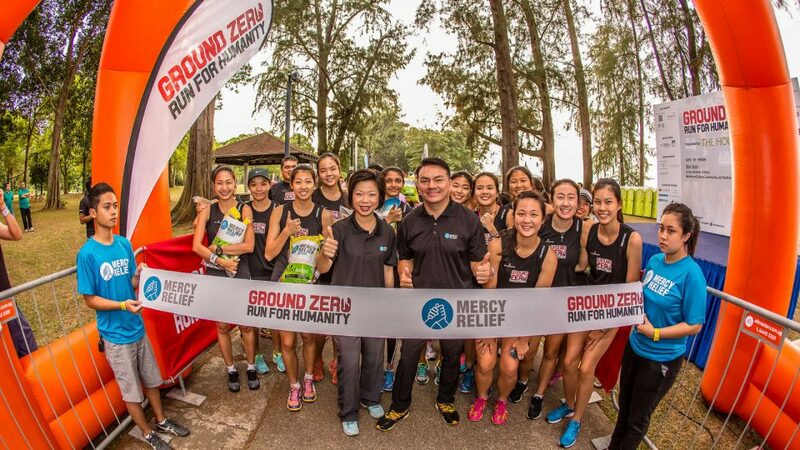 This year marks the third installation of Ground Zero Run for Humanity. 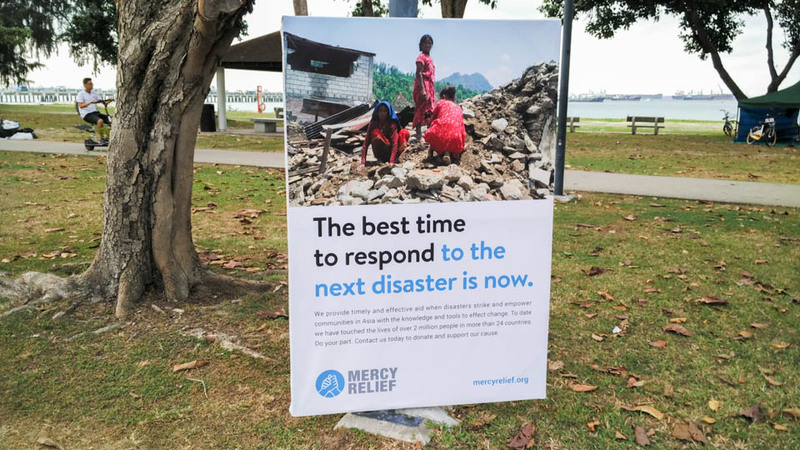 It is a unique race organised by Mercy Relief that challenges participants with simulated experience of a survivor’s journey from ground zero – the disaster site – to collect urgent supplies needed immediately following a disaster. There are 3 categories in this race: 1KM Dash for Humanity, 5KM Relief Aid Challenge and 10KM Race Against Time. 1KM Dash Humanity is designed for families with kids aged 3 to 12 years old, where each parent and child team carries a relief pack weighing approximately 1kg to simulate the situation where children survivors carry relief supplies after a disaster. 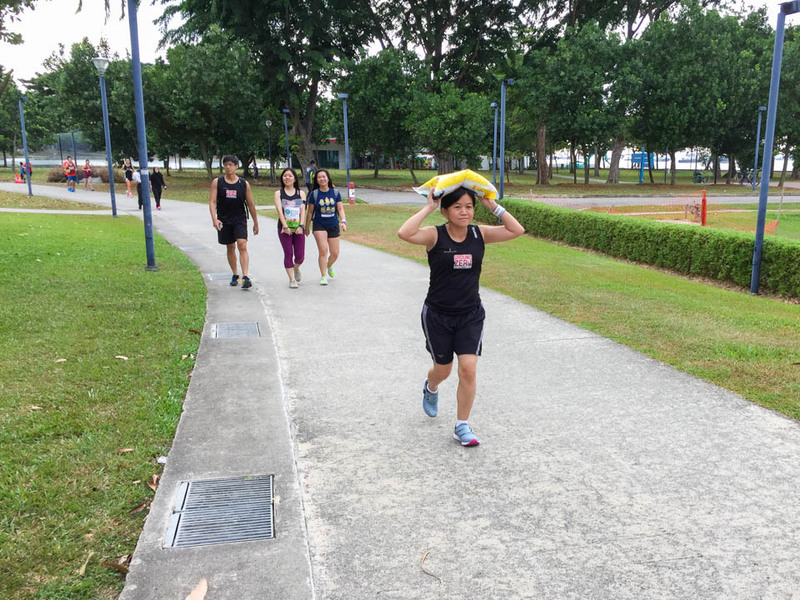 The 5KM Relief Aid Challenge simulates a survivor’s journey through harsh terrains for hours to obtain urgent supplies, by requiring runners to carry a relief pack weighing 5 to 7 kg over a 5KM course. 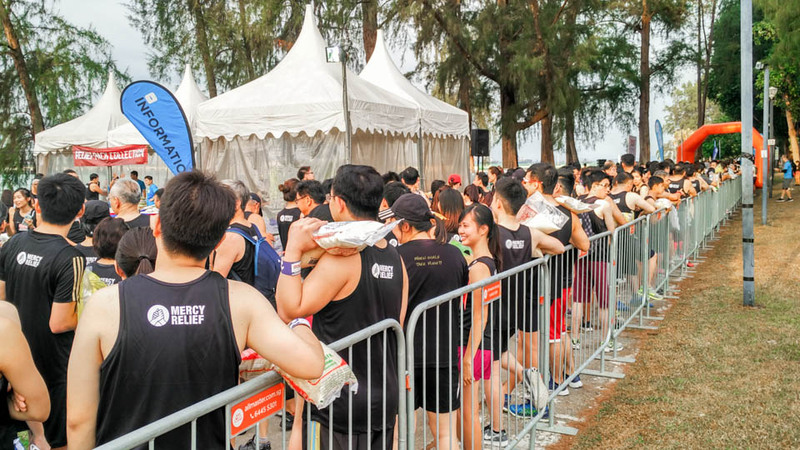 Meanwhile, the 10KM Race Against Time encourages runners to complete 10km run within 80 minutes to simulate time-sensitive rush during a crisis; they may choose to carry a relief pack over the entire course. 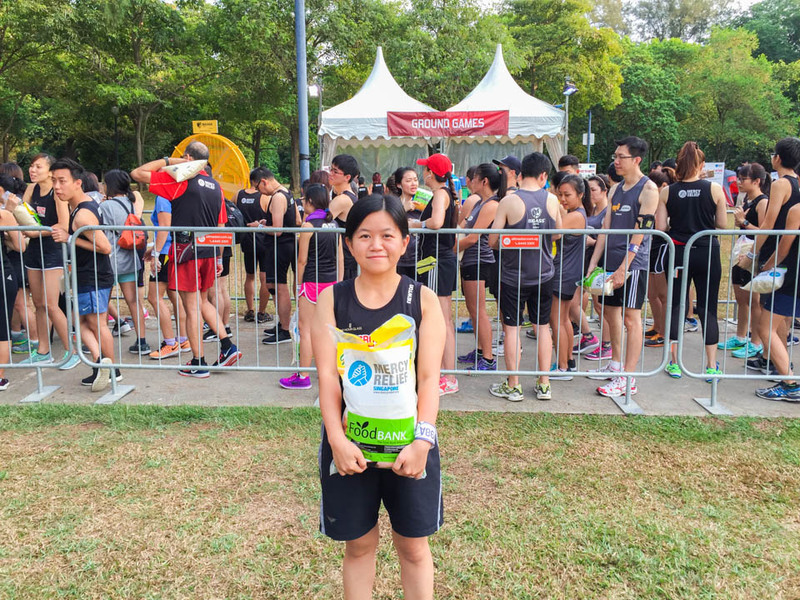 My partner and I participated in 5KM Relief Aid Challenge (Team of 2), where we can take turns to carry the relief pack. As 5KM is a non-competitive race, we were given a wristband without timing chip. 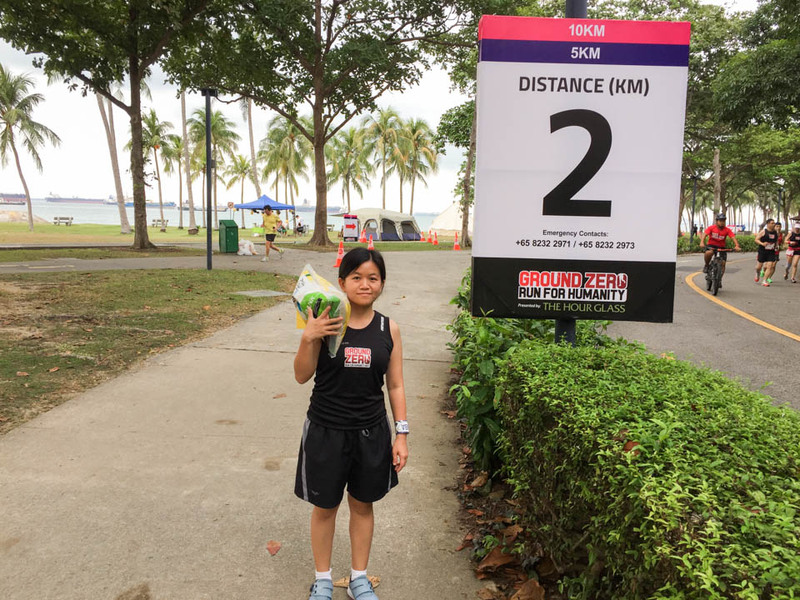 The race is held at East Coast Park, near car park F2. We took a cab to the event site and thankfully the traffic at East Coast Park was smooth. The 5KM run was flagged off at 8 a.m. We alternated between walking and running. The course consisted of pavement, sand and grass terrains. We tried various methods of carrying the relief pack to find the most comfortable position. We hugged it, put it on a shoulder and placed it on top of the head. Each method has its own advantages and disadvantages. I tried running with the pack on the head, but I didn’t enjoy the feeling of rice bag pounding on top of my head. Hugging relief pack is the recommended method by the organiser because the weight of the pack can be supported evenly by both arms. But my favourite method has to be putting it on a shoulder as it frees one hand of mine and I can hardly notice the weight of the pack. A couple of times during the race, I saw runners sprinting with relief pack, and it warmed my heart. It gave me an appreciation of what being at the real ground zero feels like. There were 2 hydration stations that served water throughout the 5km course. One before 2km distance marker, and one after the U-Turn. Volunteers at hydration stations as well as road marshals were very supportive and energetic. They cheered on us happily even though we were one of the last teams throughout the course. About 500m before the finish line was the Mercy Relief lorry where we returned our relief pack. According to Mercy Relief, all relief packs from the event will be distributed to local families in need. Eventually, we arrived at the finish line and received a unique medal made from volcanic ash pressed by the communities in the Philippines with a crochet lanyard to symbolise support in empowering disaster-prone communities through Mercy Relief. A bottle of Waiz mineral water was also distributed together with the medal. There were plenty of activities and booths at the race village. We participated in 3 games and won a couple of consolation prizes in the form of crochet lanyards. Sadly, we didn’t win any bags or panda plush toys. 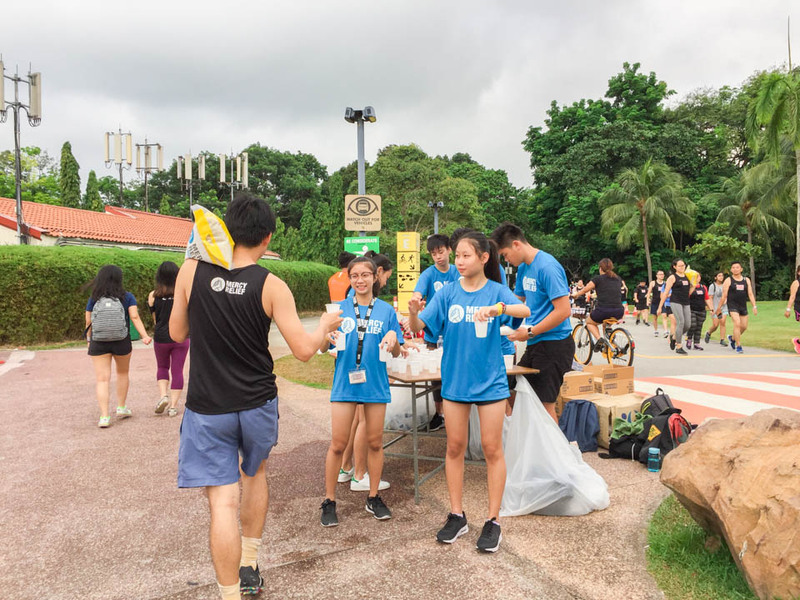 There were also donation booths such as Food Bank and Mercy Relief where participants may donate non-perishable food and money to help the humanitarian effort. Glimpses from the Ground tent showcases photographs taken at various disaster’s ground zero and the aid that Mercy Relief contributed, as well as highlights local companies such as Billion Bricks, Wateroam and Solight, whose missions are to create a better world through sustainable solutions. 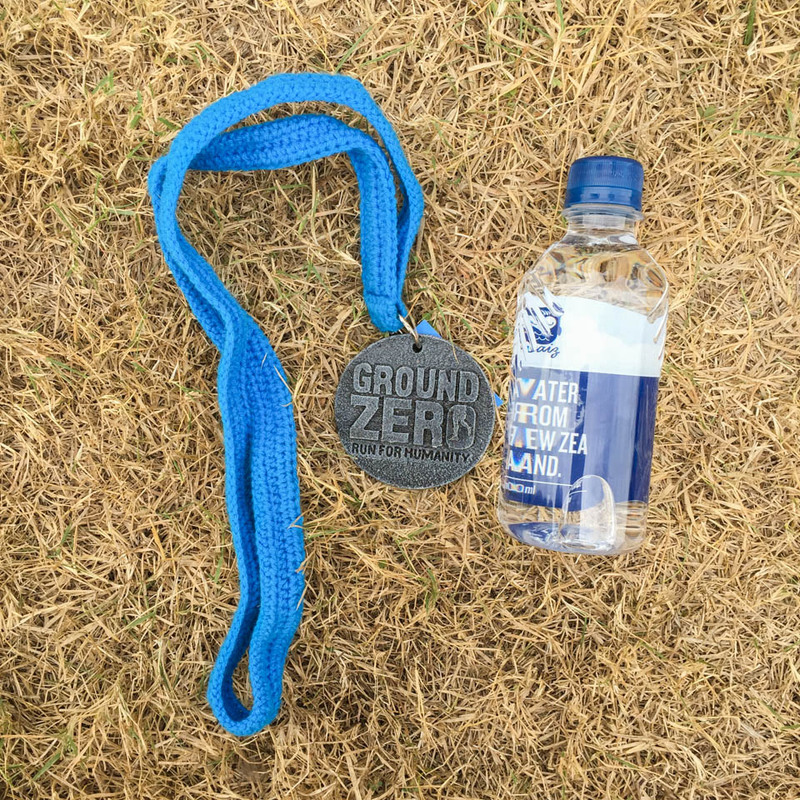 Ground zero is a race with a meaningful cause: to raise awareness for humanitarian relief efforts. It is also a unique race where participants get a good workout for both their legs and arms. 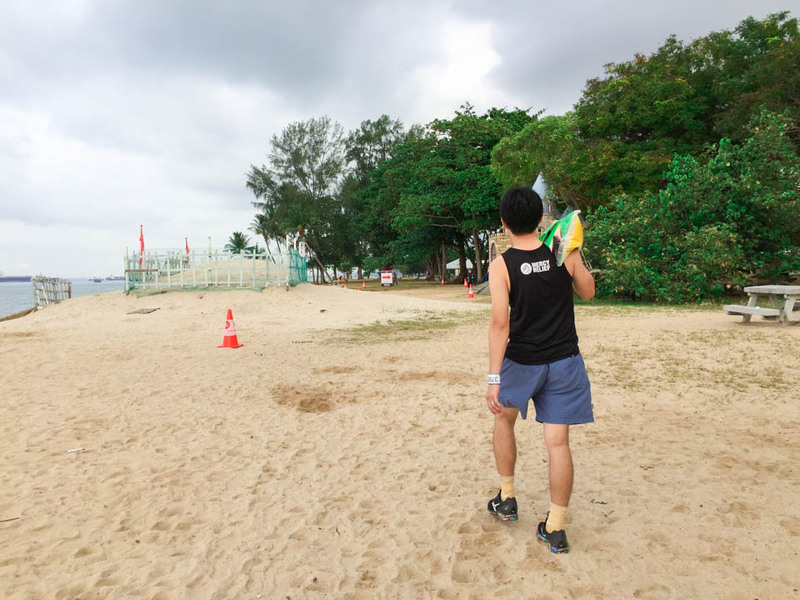 The race is held at East Coast Park. It has 3 categories (1km, 5km and 10km). The race supports such as road marshals, hydration stations, traffic signs, traffic cones and distance markers are satisfactory.